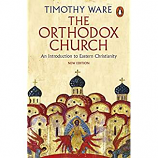 It is impossible to understand either the New Testament doctrine on marriage, or the very consistent practice of the Orthodox Church without seeing Christian marriage in the context of the Eucharist... The very notion of marriage as a sacrament presupposed that a man is not only a being with physiological, psychological, and social functions, but that he is a citizen of God's Kingdom, i.e., that his entire life'and especially its most decisive moments'involve eternal values and God Himself. Father John Meyendorff (+1992), former dean of St Vladimir's Seminary, is a well-known scholar in the fields of patristics and Byzantine history."